Google said This is a new way for you to monetize your blog, giving you control over the advertisers and products you promote, and better connecting your readers with the things you love. You can choose which product to choose on particular post and products to promote. You can enable affiliate ads from 'Post Settings' but you need to add your adsense account or create adsense account before using it. You can select from several types of affiliate links, a simple text link, an image or even a banner. 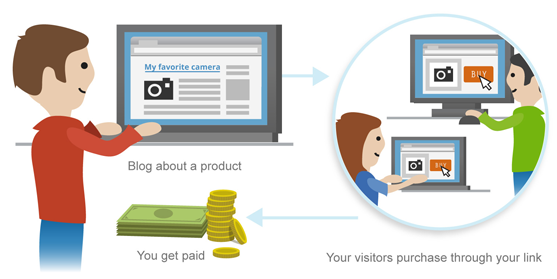 When your reader buyy something from from your links or banners, you will be paid through adsense. You need to disclose in your post that you will be paid for these affiliate links, according to Google's policy. It's a complicated situation for many bloggers to tell readers about this disclosure. According to Google its a new product but i don't think its a new product, its just a modification of Affiliate advertiser for Adsense. I think Affiliate advertiser for Adsense.is not working well as low number of users opting for this option instead of regular CPC (Cost Per Click).